Just Released! 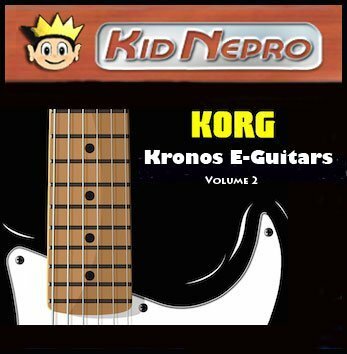 Kid Nepro’s second collection of Electric Guitar sounds for the Kronos HD-1 Synth Engine. Electric Guitars V2 – 32 Programs/16 Combis/100 MB Samples $69. USD. Free same day download delivery. Sounds are compatible with all Kronos models including the original Kronos, Kronos X and Kronos 2. Version 3 OS required.